Ever since Scene It? 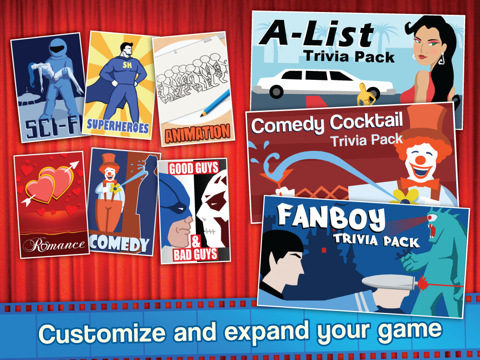 first launched as a DVD board game a few years ago, the series has spread from a huge variety of expansive board games, consoles, and mobile phones. I have previously enjoyed playing through all three Scene It? games on the Xbox 360 (although admittedly, the third in this series- Scene It? Bright Lights, Big Screen was a little poor), and so after hearing that Scene It? 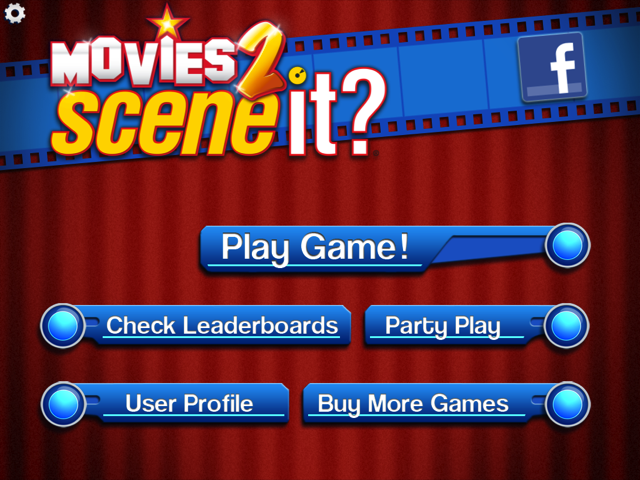 Movies 2 was available as a free download on the iPod App store, I decided to give it a go. Scene It? Movies 2 successfully manages to incorporate all of the typical features of the Scene It games in a smaller form. 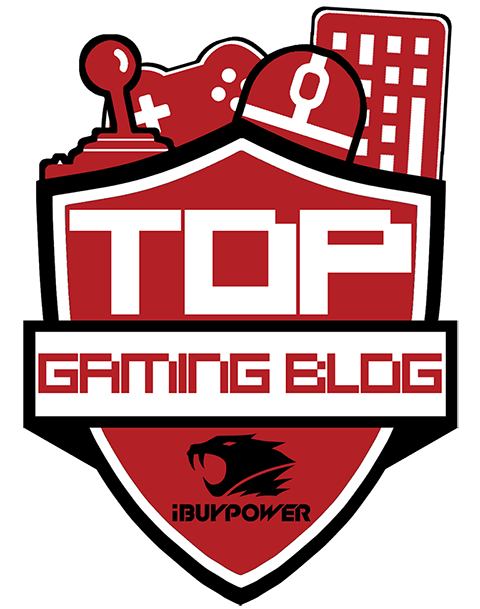 A few changes were made in order to make this fit onto the iPod Touch, iPad and iPhone. The first was that video clips are still included, but there is only a limited amount on offer. The most welcome change is that Scene It? Movies 2 is devoid of a voice-over. For anyone who has played the console versions, you may remember how horribly irritating the voice-over guy gets. Apart from that, what you see here will be pretty much the same as in the other versions, which is great. The gameplay is simple enough. Players will have to answer a number of questions as quickly and accurately as possible, in order to achieve a high score. Sometimes though, this gameplay is a little too simple. Film buffs will probably find the majority of questions on offer here way too easy. A harder difficulty curve should have been included, in order to give these film experts a tougher challenge. Players can choose to play this with a bunch of friends by selecting the Pass n' Play mode. This allows you to pass the iPod Touch/iPad/iPhone around a bunch of friends as you take it in turns to answer film related questions. The multiplayer mode can be played via Bluetooth, and allows two players to complete through the same mode which can be enjoyed in single player. The re playability factor comes in the form of unlockables. When a game is completed, there is a chance that you will unlock a cute cartoon of a famous scene from a recognisable movie. There are plenty to unlock, and it is a joy to look through them all. I definitely kept coming back until I had unlocked the entire bunch, just because I enjoyed the cute child-like drawings. Unfortunately though, play it a few times and the questions begin to cycle. It becomes a little boring after you have realised you've answered all the questions and have memorised the answers. Also, once all the unlockables have been acquired, apart from striving to unlock the in-game achievements, there is not really much of a challenge left anymore. However, question cycling can be avoided by purchasing a few of the additional question packs. These will add questions from a multitude of genres, or focus on a particular actor (I purchased the "Jack Black & the Frat Pack" question set, as I think Jack Black, Jim Carrey, Will Ferrell and the rest are hilarious). Overall, Scene It? 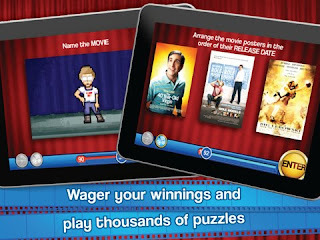 Movies 2 is an excellent iPod game that provides a few hours replay before the formula gets a little tired. The ability to unlock achievements and bonus extras, such as the cute cartoon film stills adds in an extra challenge, and helps you to keep coming back for more. Film buffs will love the trivia, and the variety of film clips on offer, but I fear that many of them will find this game far too simple for the most part. The challenge is slightly upped by downloading additional question packs, but even then, this is only bumped up ever so slightly. Scene It? Movies 2 is a faithful adaptation of an already hugely successful film trivia series, and I definitely recommend downloading this for your iPod. The huge bonus is that it's free!